The key to good health and healing is a strong immune system, which protects dogs and cats from everything from the flu germs to cancer cells. More than their mainstream counterparts, holistic veterinarians believe that a weak immune system plays a key role in causing disease. Antibiotics fight infection, but they don't affect whatever weakened the immune system in the first place. This is why holistic veterinarians focus less on things that cause diseases and more on those that affect the body's defenses. The PetLife Formula is fast becoming the #1 weapon in the veterinarian’s arsenal. PetLife will supercharge your pet’s immune system. The world is filled with disease-causing organisms, the bodies immune system is filled with defenses to resist them. In fact, no matter what your pet is confronted with, his body is well-designed to fight back. When pets take medications (or eat poisons), the liver produces extra enzymes to detoxify them. Even something minor as a pulled muscle is swiftly addressed with an increase in blood flow, which brings additional oxygen and nutrients and carts off wastes. The main reason a pet gets sick, according to veterinarians, is that something is interfering with the body's natural healing powers, the Immune system. The key to good health and healing is a strong immune system, which protects dogs and cats from everything from the flu germs to cancer cells. More than their mainstream counterparts, holistic veterinarians believe that a weak immune system plays a key role in causing disease. Antibiotics fight infection, but they don't affect whatever weakened the immune system in the first place. This is why holistic veterinarians focus less on things that cause diseases and more on those that affect the body's defenses. The PetLife Formula is fast becoming the #1 weapon in the veterinarian’s arsenal. 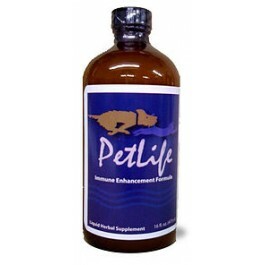 PetLife will supercharge your pet’s immune system. 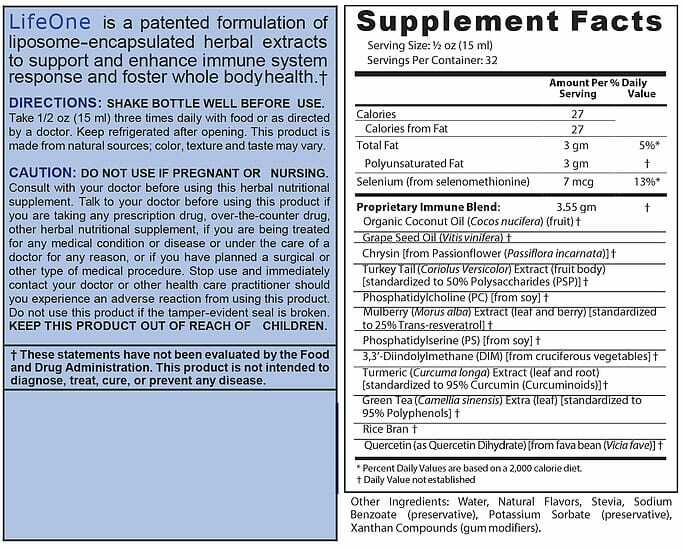 Note: PetLife and LifeOne are the same formula, although the dosage is different for pets and humans. 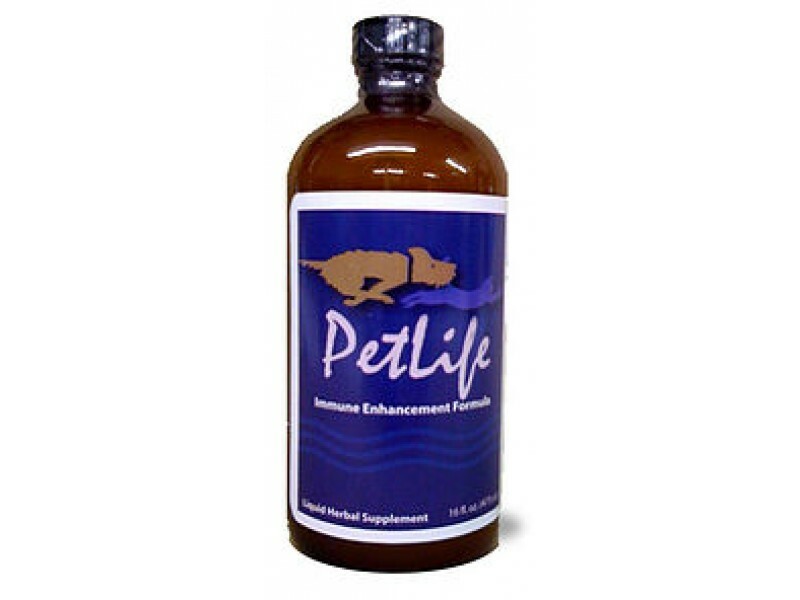 The Petlife/LifeOne we have in stock now is using the LifeOne Label. Please use the recommended dosage as indicated below for your pet. Veterinarian recommended dosage: 1 cc/per 10lbs. body weight three times daily.